For those with low levels of mobility, there is a significant risk that they may develop pressure ulcers due to long stretches of time spent sitting or lying down, and to combat this risk, proper pressure relief cushions and mattresses must be used. 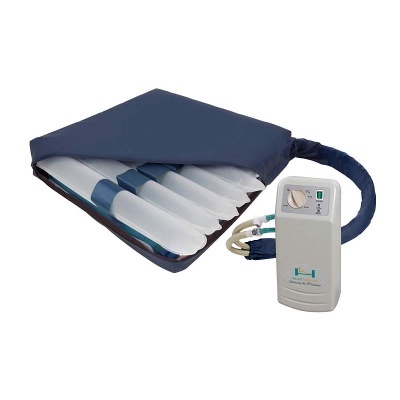 The Harvest Pressure Relief Alternating Air Cushion is just such a cushion, providing effective pressure relief for very high risk patients who do not wish to spend all day in bed. It can be purchased with or without a pump, ideal both for individuals new to the Alternating Air Cushion System and for those looking to replace an existing Alternating Air Cushion. For even more support, a version of this cushion incorporating a Lumbar Support is also available. While many bedbound patients may spend most of their time in bed, when they decide to sit instead of laying down, their chair must have the same pressure relieving qualities as their bed. This cushion achieves this, using alternating air technology to maintain an even pressure throughout the body parts in contact with the chair. 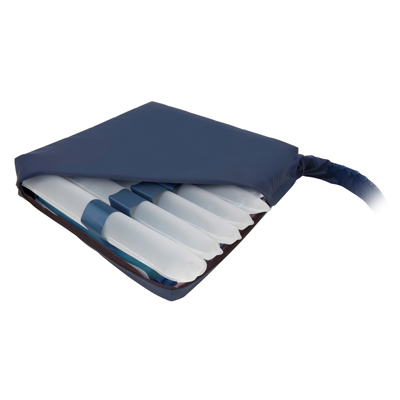 With six independent alternating air cells, there is a wide distribution of pressure, making this cushion suitable for patients at very high risk of developing pressure ulcers. This cushion can be used by a wide variety of users in a number of different seating environments. Featuring a maximum user weight of 159kg (25 stone), most users will be well supported by this cushion, sitting in comfort and safety. With a lightweight design weighing only 1.4kg, this cushion can be transported easily wherever it is needed. 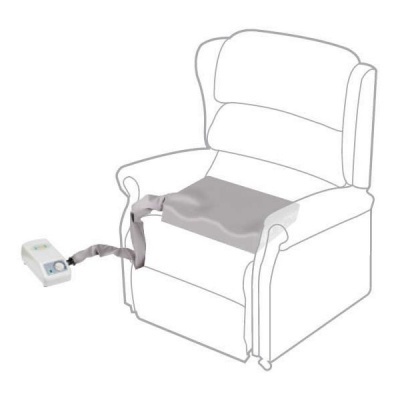 This cushion requires the Harvest 1 Pump for operation, and can be purchased with the pump by selecting the relevant option in the drop-down menu at the top of the page. If you already have the Harvest 1 Pump and are just looking to replace the cushion itself, you can select the cushion on its own form the drop-down menu. Please note that the Alternating Air Cushion requires the Harvest 1 Pump for operation. Please select the option 'Harvest 1 Pump' from the drop-down menu at the top of the page if you require the pump with the cushion.